Once you decide that you want to enjoy the many benefits that a screen room has to offer, it is time to get busy thinking about what you want your screen room to look like. For ideas on the design of your screen room, you should take a cue from the design of your home. After all, your screen room is an extension of your home, so it is important that the finished look is cohesive with everything around it. There are many different options available to you when designing the screen enclosure for your home. The types of materials and color options are vast and varied, so your imagination is really your only limitation. As a suggestion, if your home has a modern vibe, a simple, dark-colored aluminum framing with very little detail may be the perfect choice for you. On the contrary, if your home has a country feel, then a white, wooden-framed enclosure with curved details will be the ideal option. The next thing you need to decide on is what you want the ceiling of your screen enclosure to be like. Do you want a lowered, fully-enclosed ceiling to provide a more cozy feel and extra protection against the elements, or do you prefer a high screen ceiling to add to the open-air ambiance you want to create. When making your final decisions, it is important to remember that you will be able to see your screen room from the inside of your home, as well as from the outside. 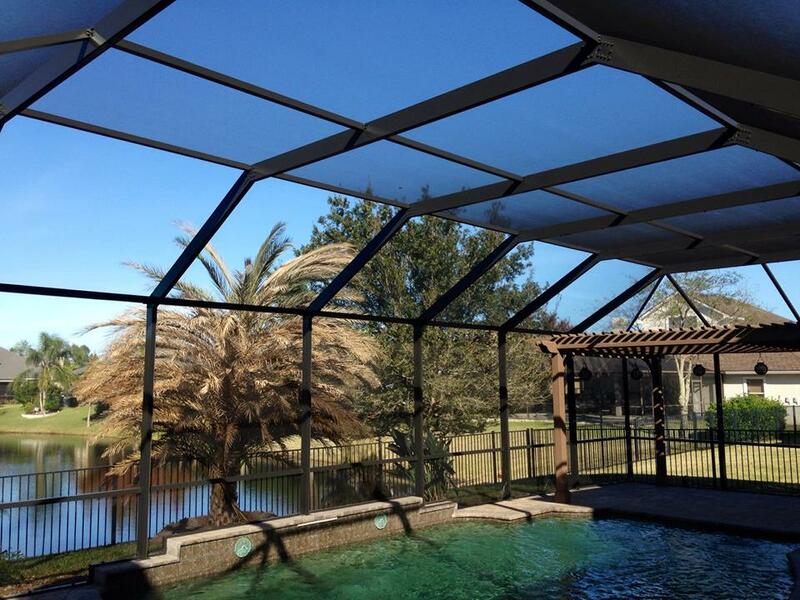 You want to make sure that the enclosure will add to the overall aesthetic of your home and not detract from it. If you can do this, then you cannot go wrong when designing your new screen enclosure.